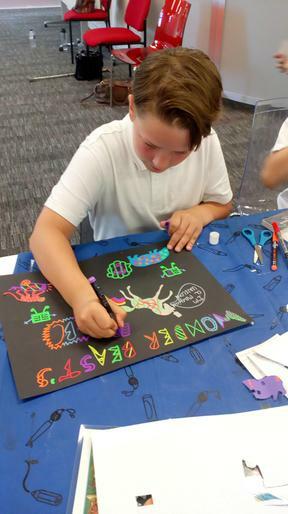 Asquith Primary School has visited Mansfield Library to work with artist, Emma Reynard, to develop ideas for an automaton that will be the central feature for the Big Draw in 2018. Inspire run the libraries in Nottinghamshire. 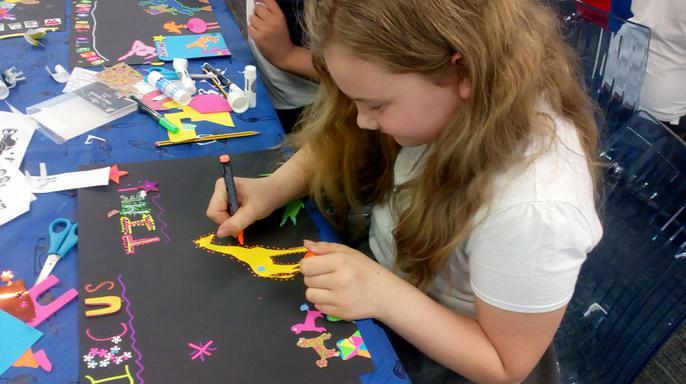 Inspire commissioned artist Emma Reynard to spend a day with two year 5 groups from Asquith Primary School. 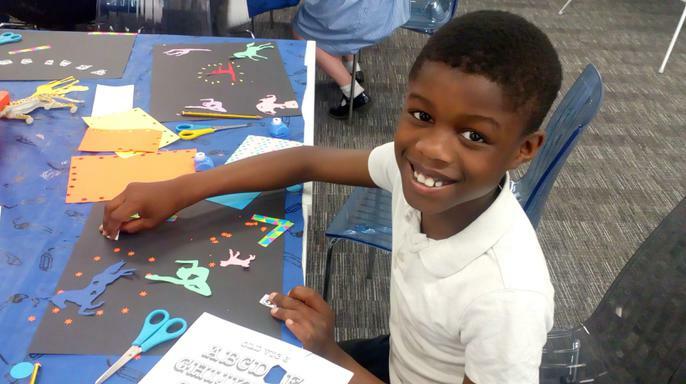 The children were encouraged to come up with ideas, designs and artwork which will inspire a final automaton design. Emma based her initial workshops on Alexander Calder who was famous for making a mechanical circus in the 1920’s. Calder would carry the circus around in a suitcase and perform to lots of people in Paris. Asquith pupils had to imagine what kind of strange things could happen if the circus came to the library! They used lots of different materials to create amazing artwork, as well as collage to make pictures which could be projected onto the wall. 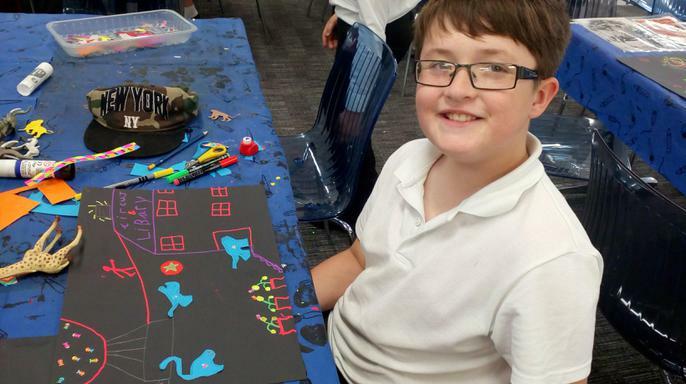 As well as being used by a second artist Keith Newstead to inspire his final automaton, the children’s artwork will be on display in the library as part of a Big Draw exhibition in November. “It has been amazing to be invited to take part in this project. Our pupils have loved working with Emma, a professional artist, who helped them to bring their ideas to life.